Much of the build-up talk about this album on the web has been squarely focused on the whole business of the Web Sheriff and the anti-leak measures being taken to protect Merriweather Post Pavilion from making its way onto MP3 blogs. This is all well and good, provoking healthy debate about the whole business of leak culture, but the real story here is of course the music itself, and this record marks a clear evolutionary step forwards from previous Animal Collective full-lengths. The shift in the band's sound towards more electronic structures might have something to do with the absence of guitarist Deakin, who would appear to be on sabbatical. From its very beginnings there's a clearer connection to the sort of digitally-enhanced, experimental Brian Wilson-isms found on Panda Bear's solo outing, Person Pitch. This proves itself to be a very good thing indeed on the awe-inspiring opener 'In The Flowers', which pulls off the trick of sounding about as weird as anything you could care to listen to whilst also being searingly melodic and oddly emotive. Following up is the no less appealing 'My Girls', which is like an Italians Do It Better redux of a Pet Sounds offcut, paving the way for 'Summertime Clothes' to move towards more explicitly dancefloor-ready sounds; amongst the soup of beautifully layered vocals there's a brittle and bloopy microhouse beat keeping time. 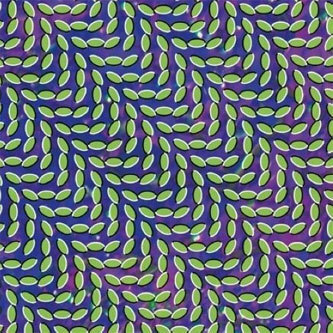 As ever, Animal Collective succeed in sounding all-but inexplicable - like there are at least three different songs playing at once, all conjoined in immaculate harmony. As you get further into the album, 'Bluish', 'Taste', 'Lion In A Coma' and the rabble-rousing 'Brother Sport' each lead us down a different wormhole, revealing a magic realist approach to indie rock that seems to reflect the polymorphous pan-generic tastes of modern blog-traversing music fans. No wonder they get themselves into so much leaky trouble with that crowd. 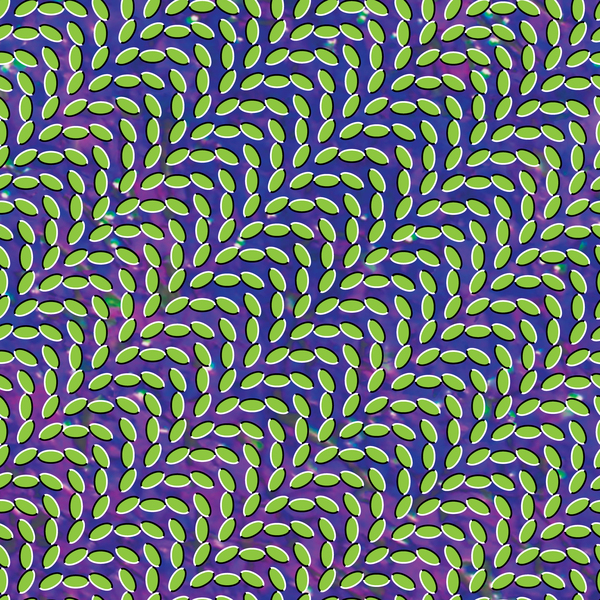 While they've had their detractors over the years, enjoying a Marmite-like relationship with the record buying public, to those who are sold on them, Animal Collective's albums have always seemed to offer something special, but Merriweather Post Pavilion might just prove to be a classic.